Performance schedule may alter from 23rd October - 25th November 2019. The running time of MARY POPPINS is to be confirmed. 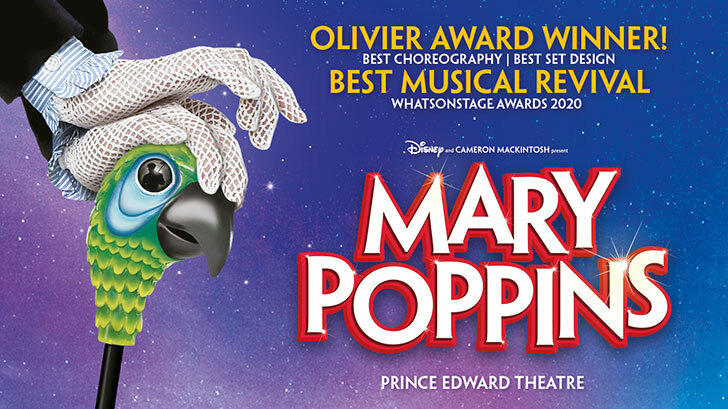 Please note: Tickets for MARY POPPINS will be dispatched within the next 6 - 8 weeks. If you have not received your tickets one week before the performance date please email customer.service@delfontmackintosh.co.uk. £75.00 reduced to £55.00 and £45.00 reduced to £35.00 for Monday - Thursday performances until 12th November 2019 (also including all Wednesday 7pm performances from 14th November). £85.00 reduced to £65.00 and £50.00 reduced to £40.00 for Monday & Thursday performances from 14th November 2019. To add some extra sparkle to your evening, why not upgrade your Mary Poppins booking to one of our Champagne or VIP Packages?